For the past thirty years, Garth Williams has worked as a Music Educator, Private Teacher, and Professional Musician. He began his professional career as a violinist with the Vancouver Symphony. In addition, he has played with the Victoria Symphony, the C.B.C. Chamber Orchestra and the Vancouver Opera Orchestra. During the past twenty years, he has performed with the Gala Players of Vancouver and has conducted Symphony Pacifica. When he is not playing professionally, he is generally conducting or arranging music for Youth Orchestras. He has conducted the Delta Youth Orchestra, the Vancouver Youth Symphony and is Founder and past Musical Director of the Summer Pops Youth Orchestra of Vancouver. 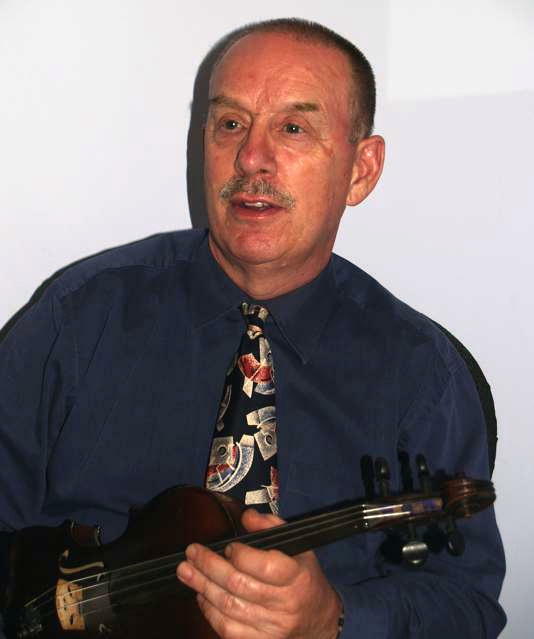 As a Music Educator, Mr. Williams has formed string programs in three different school districts in British Columbia, as well as establishing music programs in two secondary schools in Vancouver. He has operated his own studio, Kantata Studios for over thirty years, wherein he teaches violin and viola. He has served as District Head Teacher of Music in Courtenay, B.C. with responsibilities from Kindergarten to Grade Twelve. He has taught all forms of music in secondary school, from band, guitar, orchestra, and choral programs to electronic music composition. Mr. Williams has also served as adjudicator for music festivals in Powell River, Nanaimo, Cranbrook, Chilliwack, Burnaby, Courtenay, Penticton, Sechelt and Salmon Arm British Columbia. He, together with his wife, Ruth, continue to offer violin and piano instruction through Kantata Studios in Duncan. Mr. Williams served for two years as Musical Director of the Cowichan Musical Society, staging “Kiss Me Kate” and “Hello Dolly”. He has held the position of Concertmaster of the Cowichan Consort for the past three years and will form a new string orchestra, The Cowichan Camerata, in the fall of 2006. He is also presently teaching violin at Shawnigan Lake School, and Conducting the Pops Orchestra and teaching violin at Brentwood College.